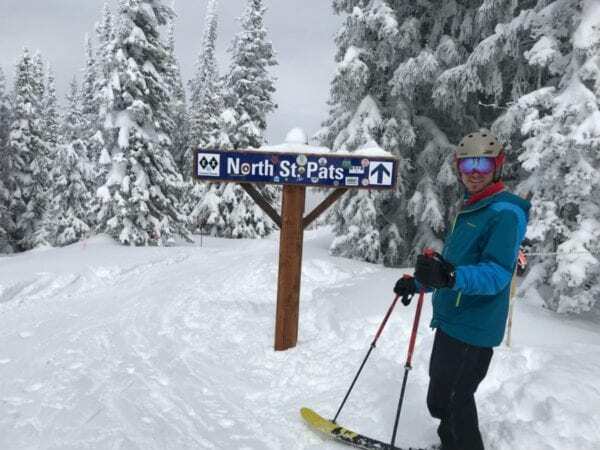 It is been a big winter out West with lots of snow and more on the way. With this much snow my old gloves have been used and abused and are ready to be shelved. My new gloves to finish out this epic winter are the Hestra Fall Line 3-Finger Glove. Hestra knows how to have fun in the deep snow. 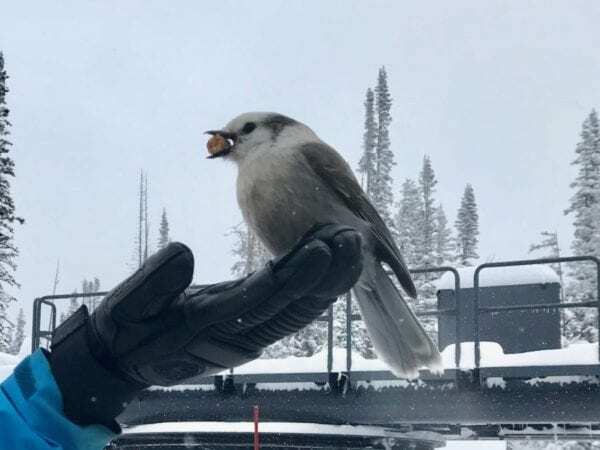 With over 70 years experience in the warm hand industry and over 1,000 different gloves created in that time, I have high expectations that my hands will be well taken care of in the deep powder. It is not a mitten, it’s not a glove, it is some fantastic hybrid of the two. The Fall Series from Hestra contains gloves, mittens, and the three finger glove. The 3-finger glove uses a glove for the thumb and pointer finger and mitten for the rest of the hand. All of the Hestra Fall Line Gloves are made from top quality Aniline Leather which is one of the most desirable materials on the market. 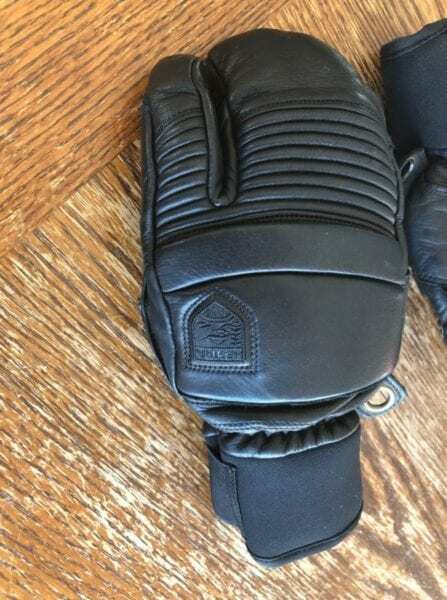 The insulation within the Hestra Leather Fall Line 3-Finger Glove is foam. The Hestra Leather Fall Line 3-Finger Glove, unlike the mitten, uses a 5 finger glove liner. Around the wrist is a neoprene cuff that can be cinched down with a velcro elastic pull strap. 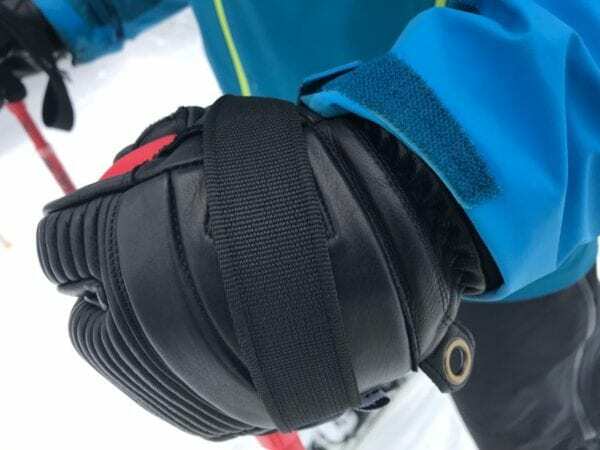 Additionally, around the cuff is a grommet that is connected with a carabiner so the gloves can be kept together. On the ski hill, it seems to be a 50/50 split of gloves to mittens. Now you don’t have to choose between the two options. The Hestra Leather Fall Line 3-Finger Glove combines many of the best features of both the glove and mitten. 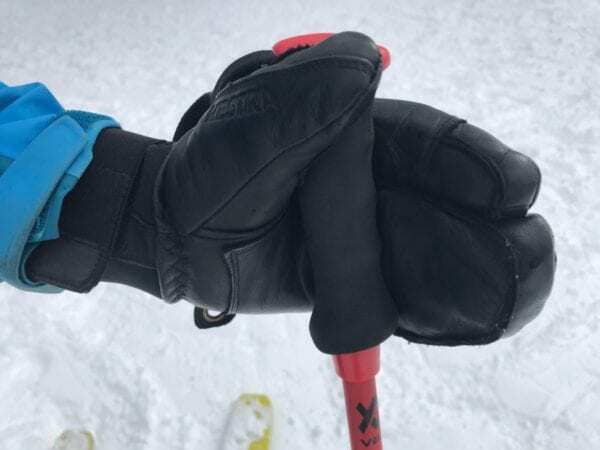 Over the past few weeks I have fallen in love this unique looking glove for its versatility while skiing. The Hestra Leather 3-Finger Fall Line Glove has a unique look. In a world of mittens and gloves it looks a little out of place. Every outing thus far has produced a conversation around the glove because of its unique design. Performance wise, the Hestra Leather 3- Finger Fall Line Glove is outstanding. It is one of the most comfortable gloves I have ever worn. When purchasing a Hestra Glove, you must first size your hand. Measurements are taken on length and width to come up with the perfect fit. 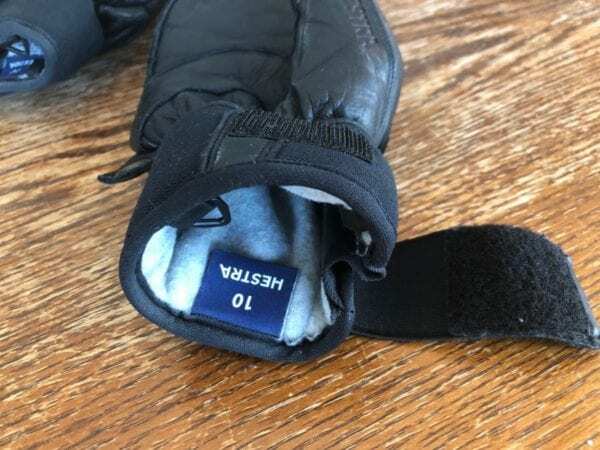 This precise sizing system really confirms the statement, “fits like a glove!” I firmly believe that the Hestra Sizing system has an advantage of fit over the small/medium/large style of fitting of most gloves. 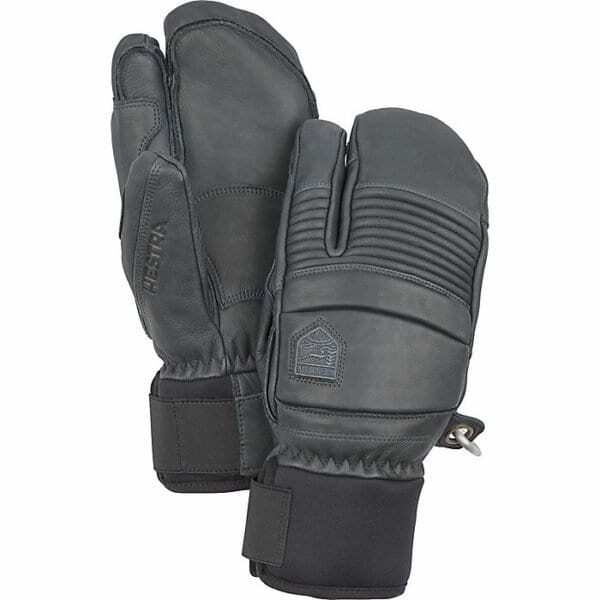 Not only do the Hestra Leather Fall Line 3-Finger Glove fit well but they are also very warm. I skied various days from zero degrees to thirty degrees and never had a problem with my fingers being cold or too warm. I was really impressed on some of the snowy days where everything seemed to be wet. My hands and fingers stayed dry and warm all day. I believe that the construction and design of the Hestra Leather Fall Line 3-Finger Glove is what keeps my hands so comfortable when skiing. 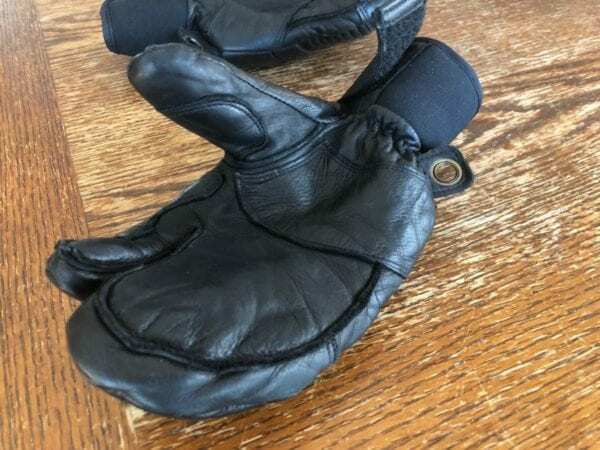 The leather used in the exterior of the glove is really thick yet pliable. Usually thick leather might not allow for movement but the high end Aniline Leather is pretty awesome stuff. Additionally, the cuff of the Hestra Leather Fall Line 3-Finger Glove is well thought out. 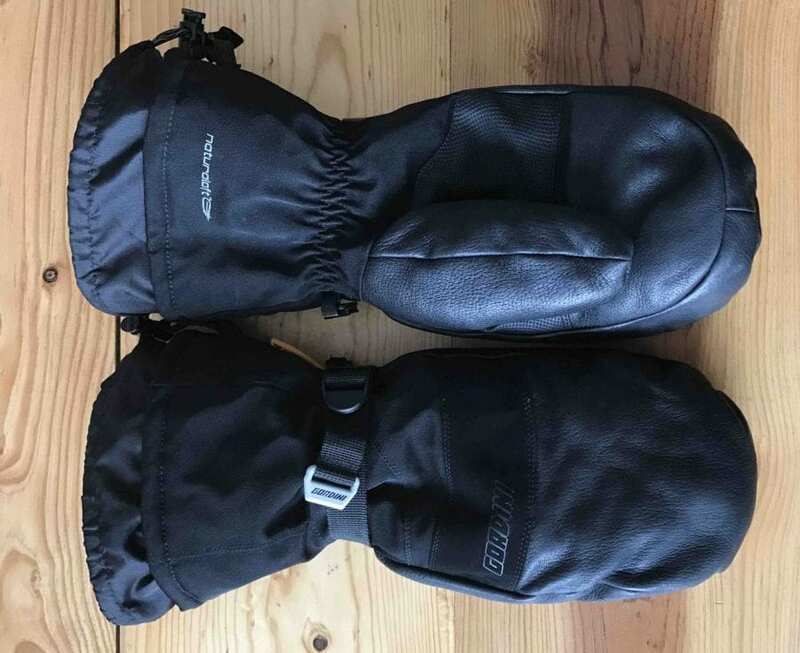 The Velcro strap creates a tight seal against the skin preventing any snow or cold air from entering the base of the glove. Also, the cinched down cuff fits perfectly under the cuff of all of my ski jackets creating one more layer of protection against unwanted snow from getting in. The unique three finger design of the Hestra Leather Fall Line 3-Finger Glove really is great. I like having my fingers together like a mitten to keep them warm on the really cold days. This glove does this with the middle finger through pinky. Additionally, the glove liner adds extra warmth to these fingers as well. This liner is incredible soft and feels great on the hands too. Having an additional free finger has its advantages too. 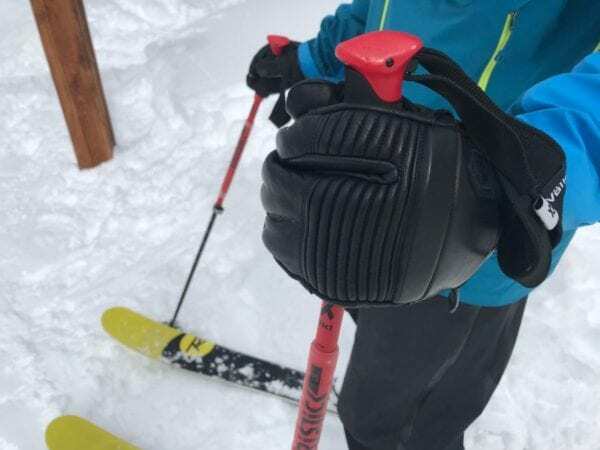 Holding ski poles, drinking out of water bottles, and buckling ski boots are all easier tasks with the Hestra Leather Fall Line 3-Finger Glove. Not to say these can’t be done in a mitten, I just have found them easier with the three finger glove. The Hestra Leather Fall Line 3-Finger Glove is the perfect alpine skiing glove. 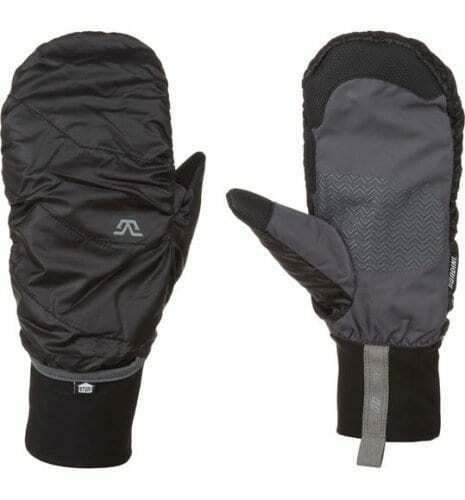 This glove combines the best features of the mitten and five finger glove in one. 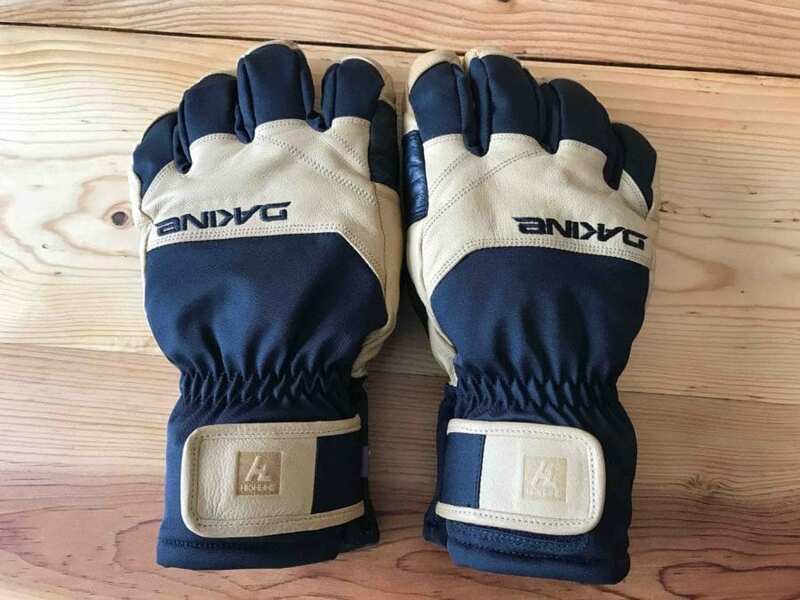 Between the sizing and soft interior this glove is incredibly comfortable. The heavy duty Aniline Leather build gives me confidence that this glove will last many seasons. Bennett Colvin lives in Steamboat, Colorado and is an avid fisherman, hiker, skier, and outdoorsman. Bennett instructs fly fishing and runs youth fly fishing programs. He also is a professional fly tier and ties publicly at fly shops and expos.